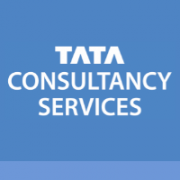 Emirates NBD has picked Tata Consultancy Services’ TCS Bancs for Payments as its core processing platform to standardise and streamline payments operations across India, Egypt, Saudi Arabia, Singapore, UK and its home market, the United Arab Emirates. “We found TCS Bancs to be a future-ready solution that best supports our transformation goals – to standardise the core payments processes across our different markets, to simplify our IT payments landscape, to support the launch of innovative payments products and enhance the digital experience for our customers,” says Abdulla Qassem, group chief operating officer, Emirates NBD. The payments solution includes order management and clearing and settlement, according to TCS. TCS Bancs provides direct debit and credit transfers, including domestic and international variations, on a single platform. It is certified with the Swift-ready label for the payments market and the Swift gpi-ready label. The solution is designed on ISO20022-based data and process models, and includes real-time payments and open APIs. The deal is interesting as Emirates NBD is a major user of Infosys Finacle. For its underlying technology, the bank uses the Finacle core system at home and across its international locations. In addition, the group also has an Islamic banking subsidiary, Emirates Islamic Bank, which went live on Finacle on 2016, FinTech Futures understands. This was the first Islamic site for the Infosys core platform. But Emirates NBD didn’t turn to Finacle’s own payments tech. Just yesterday (3 January), Qatar National Bank (QNB) implemented the Finacle Payments Hub as part of its digital transformation strategy. In other news, just before Christmas, MUFG Bank, one of Japan’s largest financial institutions, also selected TCS Bancs for its payments operations.